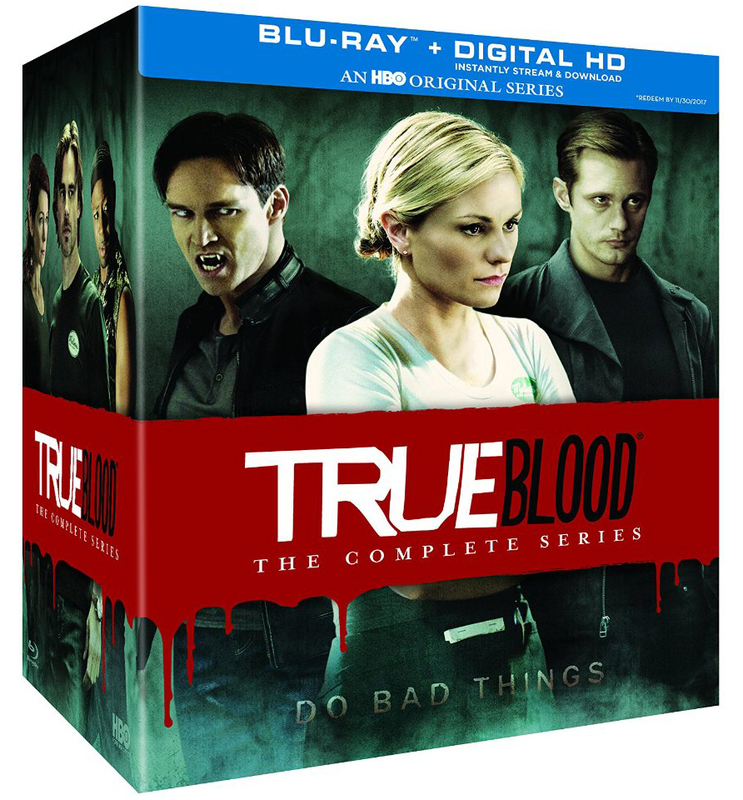 The entire series of True Blood, Season 1 through 7 are available already for pre-order on Blu-Ray and DVD on Amazon.com. Get on over to reserve your copy to save for all time. Pricing is available, however, currently showing $249.99 SRP for the standard DVD and $299.98 SRP for the Blu-ray set (you can, of course, guarantee your copy right away at a discounted price, if you order it using either of the links below). People should not buy as a protest for what they did to Bill. Fangs and leering at Sookie? Really? Before I realized how they were planning to end it I was going to get season 7, but not now. I wouldn’t take it if it was given to me as a gift! I am trying so hard not to let my very strong, negative feelings about the finale take the rest of the series away from me, and I really want to support the show for all that it was, so I willl be springing for this, even if I never watch the finale epi ever again. So bizarre that the finale epi and amazing ones like #4 are in the same season! I love True Blood for better or worse. Sookie has been a part of my life for about a decade now and I will miss all of Bon Temps so much. All the negativity is unwarranted because, hey, it’s a TV SHOW, not your actual life and if it affects someone that much then maybe there are bigger issues for them. Thank you Lynn and Shad for your amazing website. not gonna happen and furthermore that cover looks terrible like a cheap aftermarket photo shopped knockoff. I already got season 1-6 on DVD so this seems pointless to buy. As much as I wasn’t crazy about the ending, I want to get season 7 only for my collection. I want as much Eric Northman as possible. Willkill4Bill ya know, i keep l looking for respite from the disaster that was Season 7, but there’s no place to hide. Not in Tumblr. Not in fanfiction. S7 for me is like some sort of toxic hazardous waste runoff that has seeped into my good memories; my good feelings about the show and made them rotten and putrid. When I look at the other seasons I’ve collected, I’m tempted to just toss them into the garbage. Unless there are some serious re-writes and some hella backward time jumps, True Blood gets not another dime from me. I would love to buy this series box set (i’ve purchased the individual seasons) but i was hoping they would give us fans some great bonus material like deleted scenes and add those Drops of True Blood promos along with other special features, but its just the same sets just repackaged. Shameful.